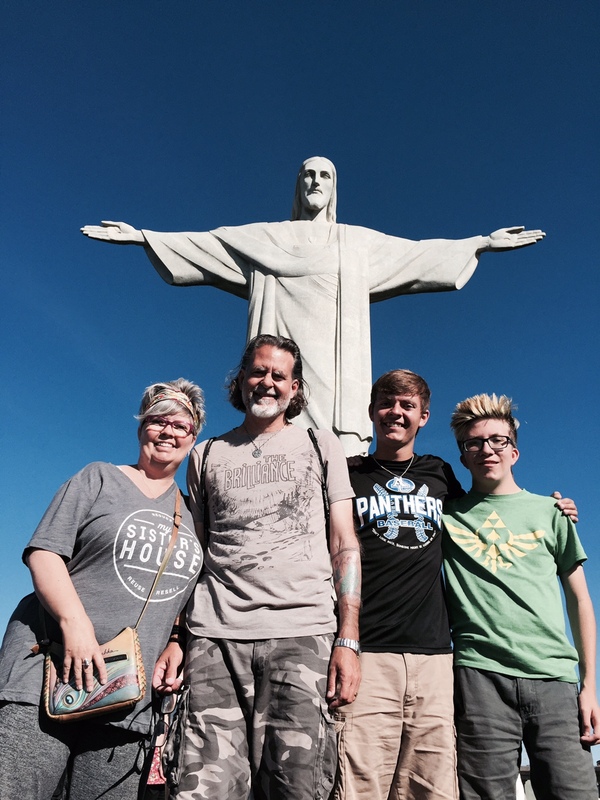 Two weeks ago the Beck family was in Brazil. We were there because Jana really wanted the family to have a shared ministry experience--the four of us--before Brenden started college in the fall. A team from our church was going down to help with Camp Roots at the Itu Church of Christ in Itu, Brazil. Prior to camp, Drew Bowen and I spent time learning from the staff and community at Crescimento Limpo, the housing-first and substance dependence recovery ministry in Itu. In the weeks and months to come I'll be sharing a lot more about our time in Brazil and Crescimento Limpo, theological and ministry reflections. But today is Friday, my day to treat this blog like Facebook. So, two of my favorite family pictures from our travels. Our family at Christ the Redeemer and the boys drinking out of coconuts at the famous Escadaria Selarón.